Another dance,party cut by Funk man Gene Poo Poo Man Anderson member of the P-Funk Parliment family. If you like to dance, than this cut will suit you fine..
Gene brought together his Jamaican friends to help put that Caribbean flavor to this wiggly,bouncing, rocking cut. 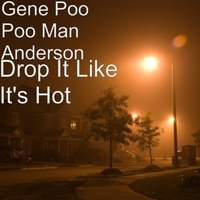 It's hot, and is sure to be a Big Box Speaker Sound for Gene Poo Poo Man Anderson.